Certification ensures competitiveness and is a key factor for success. It works to stimulate continuous improvement in companies. It is proof of confidence in the product for clients and consumers. The cork industry invests in certification on behalf of quality and modernisation. 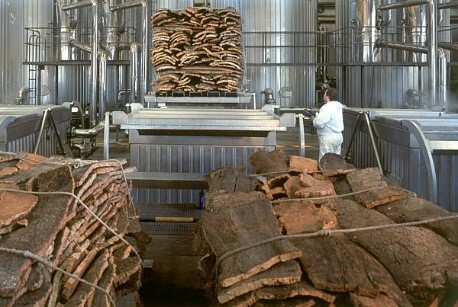 More than 70% of companies certified by the International Cork Stopper Practices Code are Portuguese. 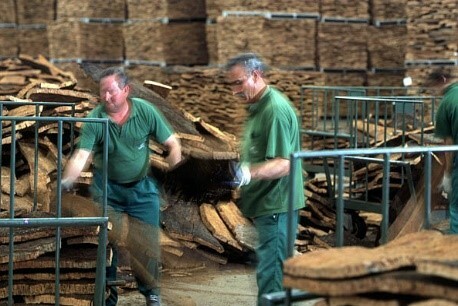 The Portuguese cork industry has always upheld the highest standards of quality in the different production and manufacturing stages, particularly in the production of stoppers, in which a great deal of work has been carried out to identify and eradicate possible defects. In this field, particularly notable is the project Quercus, implemented from 1992 to 1996, on the initiative of C.E. Liège (Confédération Européenne du Liège) initiative. Quercus involved seven countries and several public and private laboratories with an aim to study in greater depth sensorial anomalies related to tainted aromas/tastes in wine. Using suggestions from previous studies and the discoveries of this wide-ranging project, it was possible to increase knowledge of the compounds responsible for this type of anomaly, as well as 2,4,6 – Trichloroanisol (TCA), Tetrachloroanisol (TeCA) and Pentachloroanisol (PCA). These results obtained from the Quercus project gave a clearer idea of the contamination and formation mechanisms of TCA (the most common compound) and helped to formulate the basic rules for prevention. These findings were used to draw up the International Code of Cork Stopper Manufacturing Practice (ICSSMP) (available in Portuguese), a set of practical norms for the manufacturing of cork stoppers, whose adoption by the industry has helped to achieve standard quality throughout the sector. The ICCSMP become an international reference in 1997. It is an extremely dynamic code, incorporating every new discovery and technological advance. It is currently in its 6th version. The international certification called Systecode was set up in 1999. It aims to certify cork stopper manufacturers that comply with the regulations of the International Code of Cork Stopper Manufacturing Practice (available in Portuguese). It is one of the most important modernisation factors of the cork stoppers industry as it is a guarantee of quality and reliability that the market has been feeling and tasting in wines bottled since 2001. Systecode and the ICCSMP require companies to subscribe to the most advanced production techniques, besides demanding extensive and detailed knowledge of materials and strict compliance with environmental regulations and occupational safety and health regulations. The companies are audited annually by an external entity, to ensure that they comply with the requirements of the system. In the year 2000, the 1st of Systecode, 87 Portuguese companies were certified out of a total of 170 worldwide. One year later that number had increased to 143 in Portugal and 248 in the world. Nowadays, 252 Portuguese companies are certified and 315 in total. About 90% of these companies are APCOR members. C.E.Liège has implemented an even stricter certification since 2011, rewarding the companies that meet more requirements – in terms of hygiene and food safety, sustainable development and environmental impact. These can obtain “Premium Systecode” certification, while other companies are “Basic Systecode” certified. Since 2015, in the countries where the SYSTECODE audits are being carried out, the cork stoppers’ manufacturers have been allowed to choose another degree of audit : Systecode-Excellence. For this level Excellence only can compete companies that sell directly finished stoppers ready to use, to bottlers/cellars. In order to comply with this new level Excellence, it is mandatory that companies possess a certification Systecode Premium in all the activities of finishing of stoppers, and purchase their semi-finished products (corks) from companies with certification Systecode Premium in the activities of semi-finishing. For the 2015 campaign, 233 companies have chosen to apply for “basic” certification, 50 for “premium” certification and 32 companies have chosen to apply for “Excellence”. The figures in Portugal were 192 for “basic” certification and 36 for “premium” certification. In Portugal, 196 companies have chosen to apply for “basic” certification, 39 companies have applied for “premium” and 17 for “excelence”. Hazard Analysis and Critical Control Points or HACCP, is a complex food safety analysis system which, when implemented, controls quality and hygiene during food processing (production, packaging…). Following up on the publication of various international standards and directives in respect of this question which began to gain great importance in the 1950s, the first Guidelines for the Application of the HACCP System were drawn up by the Codex Alimentarius Commission in 1991 (revised in 1993 and in 1999). Since cork stoppers are in direct contact with a foodstuff – wine – this system began to be implemented in the companies of the sector. 7. Establish a procedures and records documenting system. More information from FDA and Certif. In addition to the ICCSMP and its accreditation system, Systecode, which requires companies to adapt their practices in the light of food safety regulations and indications, there are many companies that have made use of various other food certification systems to strengthen the practices already stipulated. The most recent food safety certification in the cork industry is ISO 22000:2005,. Several cork companies have already been certified by this standard. More information from ISO and Certif. Chain-of-custody /Responsibility certification allows companies to place the Forest Stewardship Council® (FSC®) or Programme for the Endorsement of Forest Certification© (PEFC©) on their products, which, in turn, allows consumers to identify and choose products that support responsible and sustainable forest management. This certification checks the traceability of certified forest-based materials and products throughout the production chain, from the forest, or from the place of collection in the case of recycled materials, to the end consumer. It provides guarantees regarding the implementation of a management system promoting social responsibility and environmental commitments that strengthen the institutional image among customers. It applies to manufacturers, processing companies and traders of certified forest products. It is thus intended for any company that seeks to demonstrate that it business makes a positive contribution to the maintenance and improvement of the forest.